How Low A Temperature Can Peas Stand? How Low Of A Temperature Can Peas Stand? 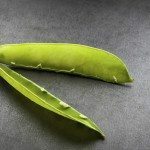 Peas are one of the first crops that you can plant in your garden. There are a great many sayings on how peas should be planted before St. Patrick’s Day or before the Ides of March. In many areas, these dates fall early enough in the season that there still may be frosts, freezing temperatures and even snow. 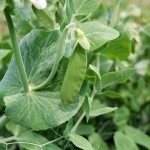 While peas are able to take the cold and even flourish best in cool temperatures, how cold does it have to be before they are no longer able to tolerate the cold? Peas are able to do just fine in temperatures as low as 28 F. (-2 C.) If temperatures don’t fall below this mark, peas and pea seedlings will be just fine. 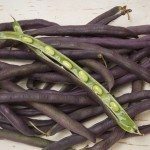 If snow has fallen and has covered the peas, the plants can toelrate temperatures as low as 10 F. or even 5 F. (-15 to -12 C.) without suffering too much damage. Peas grow best in temperatures no higher than 70 F. (21 C.) during the day and no lower than 50 F. (10 C.) at night. Peas will grow and produce outside of these temperatures though, as these are only the best conditions under which to grow them. While folklore may say that you should have your peas planted by about the middle of March, it is always a wise idea to take into account your local climate and weather patterns before doing so.